Can I Deduct Moving Expenses on My Taxes? April 15 seems to come around just a little bit faster each year. If you’ve recently moved into one of our Springs luxury apartment communities, did you know that your moving expenses may be tax deductible? Here's a look at the tax rules involving moving expenses along with some other deductions you may not be aware of. When Are Moving Expenses Tax-Deductible? You can deduct moving expenses if your move was related to work, whether it was to begin a new job or start a business. In order to qualify, your new place of employment must be at least 50 miles further than your previous commute. For example, if you worked at a business that was 10 miles from your previous apartment, your new place of employment must be at least 60 miles away. Timing is also important. You must start your new job and work at least 39 weeks on a full-time basis within the first 12 months after your move. Men and women in military service are not subject to any distance or time requirements if the move is related to a permanent change in their status, such as retirement or discharge. There is no cap on deductions as long as they are "reasonable and necessary" expenses. These can include rental trucks, short-term storage, and overnight lodging for long-distance moves. The IRS has a standard per-mile deduction for vehicle costs, but you can elect to track your own expenditures for gas, oil, tolls and parking fees. People who receive a moving stipend from their employer are not eligible for these deductions. Job search expenses can be deducted if you're looking for a position in the same line of business as your current employment. 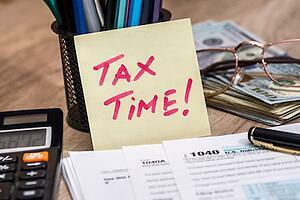 The combined total of your job search expenses and other miscellaneous deductions must equal at least two percent of your modified adjusted gross income, or MAGI. This deduction is not available for people looking for their first job. Singles with a MAGI of up to $80,000 and married couples with a MAGI of up to $160,000 may be eligible to deduct up to $2,500 of interest payments on certain types of student loans. Teachers who make unreimbursed purchases of books, supplies (including computers and software) and relevant professional development courses may be able to deduct up to $250 for these costs. IRS regulations change frequently, so be sure to consult a professional for specific information. Have you ever made a long-distance move for a job? Let us know in the comments!